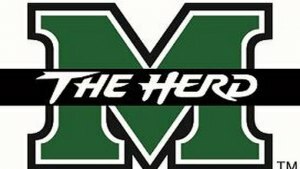 HUNTINGTON, W.Va. – The Marshall baseball program has announced two Showcase Camps for high school players to be held July 21 and 23 in Florida. The camps are designed for high school athletes to compete against other top players. These clinics will give players the chance to showcase their abilities in pro-style workouts and in-game situations. Each camp is open to anyone in the classes of 2015-2019 and is limited to 100 participants. The cost is $125 per camper and can be paid by cash, credit card or check on the day of the camp. Pre-registration is accepted by credit card or check and can be mailed or sent via HerdZone.com. A team discount is also available for $100 per camper if six or more members from the same team register for camp. July 21 - Gulf Breeze, Fla.
July 23 - Niceville, Fla.
80 E. John Sims Pkwy. For more information, contact Coach Brain Karlet at karlet2@marshall.edu. For all the latest information about Marshall baseball, follow @HerdBaseball on Twitter.